Efforts to understand how changes in the genome lead to changes in phenotypes is showing us why snakes don’t have legs. While snakes and lizards belong to the same order (Squamata), they differ in one obvious aspect: snakes do not have limbs. New research is looking into the genetic changes that led to this outward difference. The study, led by Juliana Gusson Roscito at the Max Planck Institute for Molecular Cell Biology and Genetics in Dresden, Germany, also analyzed eye degradation in certain subterranean mammals. Mammals with degraded visual systems seem to have shed certain genes from their genomes — mainly those associated with the formation of the crystalline lens and photoreceptor cells in the eyes. This process was very likely gradual, taking successive mutations during the evolutionary process but, eventually, these genes completely lost their ability to encode proteins. 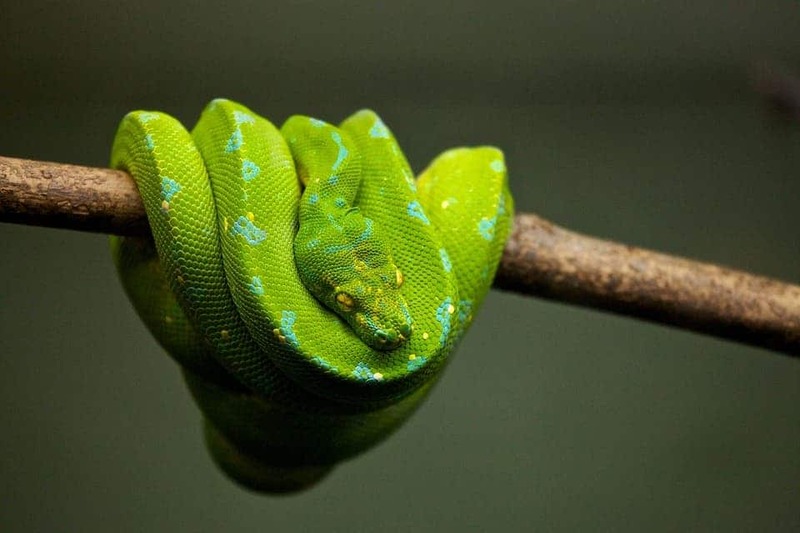 However, Roscito says, this isn’t what happened to snakes — they haven’t lost the genes associated with limb-formation. Gene expression — whether a gene is ‘active’ or not — depends on regulatory elements that are outside of the gene itself. These basically allow or block the information inside the gene to be transcribed into RNA and then be carried off to generate a protein. This process is regulated by cis-regulatory elements (CREs), sequences of nucleotides in DNA placed near the genes they regulate. These CREs can significantly alter a genome’s functionality via the genes they block or enable. “A regulatory element can activate or inhibit the expression of a gene in a certain part of the organism, such as the limbs, for example, while a different regulatory element can activate or inhibit the expression of the same gene in a different part, such as the head,” Roscito explains. However, it’s pretty difficult to accurately identify CREs. Genes all follow a certain structural pattern, having base pairs at each end of the gene — so they’re easy to delineate. CREs have to be identified indirectly, usually by comparing DNA sequences from different species. That’s exactly what the team did for this study: they compared the genomes of snakes with those of various other reptile and vertebrates (that have limbs). 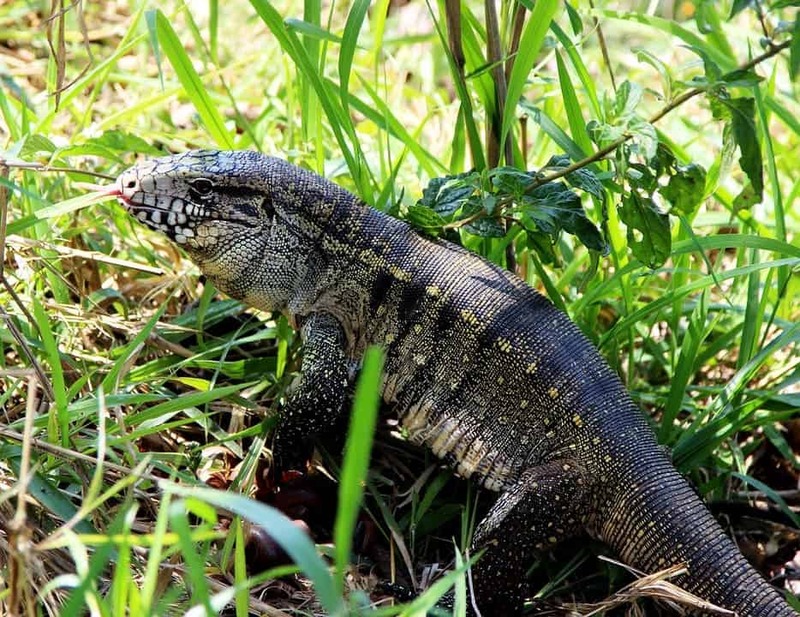 As “genome sequences for reptiles with well-developed limbs are scarce”, the team writes, they sequenced and assembled the genome of Salvator merianae, the tegu lizard, themselves. This is “the first species of the teiid lineage ever sequenced,” the authors add. The gold tegu, Tupinambis teguixin. Using this genome as a reference, the team looked at the genomes of several other species. These included two snakes (boa and python) three other limbed reptiles (green anole lizard, dragon lizard, and gecko) three birds, an alligator, three turtles, 14 mammals, a frog, and a coelacanth (a very rare type of fish). They ‘aligned’ these 29 genomes together and used that as a basis for their analysis. Armed with 5,000 possible candidates for regulatory elements in the DNAs of these species, the team looked at the genomes of several species of snakes. They managed to narrow down the search to a set of CREs whose mutation may have led to the disappearance of limbs in snakes. The paper “Phenotype loss is associated with widespread divergence of the gene regulatory landscape in evolution” has been published in the journal Nature Communications.